Apples n’ Pears in Perfect Condition! We are sometimes offered windfall apples or pears, which is fine if they haven’t been heavily bruised when falling. We would much rather come and view your tree and help you pick it or pick it ourselves then we can be assured the quality of the fruit for our juice, jam and chutney making. We can of course accept windfalls if they are in tip top condition! Please comment here, or email us on wenabundance@gmail.com if you have any fruit to offer us! Paul looks glum as he can spot some bruised apples! Where do you pick your blackberries from? It seems as if this year so far there has been a bumper crop of blackberries and plums, as well as some early apples. I picked my blackberries from Gunnersbury Park and was fortunate enough to be asked to pick some wonderful plums from an allotment, but where did you pick yours from and what interesting things have you made so far? Fill out the poll below and tell us! 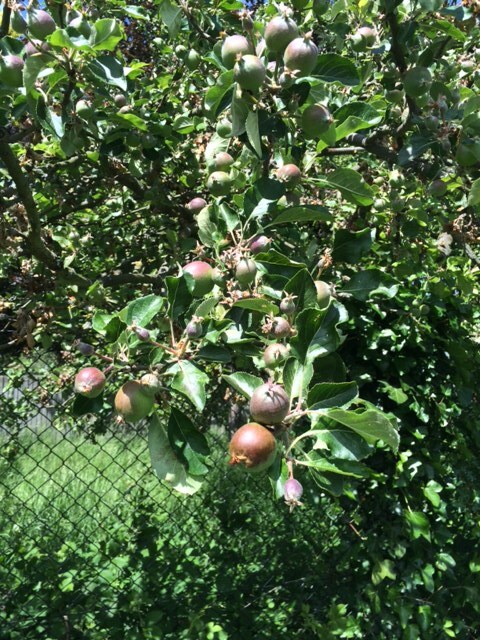 We have nearly come to the end of our apple picking for this season, however we still have a lot of pears to pick! We are picking once again at Northfields allotments this Saturday 3rd October at 10.30am. If you are interested in coming along please arrive by 10.30am sharp at the entrance gates by the bus stop on Northfields Avenue. We will supply all the equipment just come suitably dressed for picking on a muddy allotment! If you are unfamiliar with Northfields Allotments they are run by ‘Pathways’ so this is the signage you will see and they are surrounded by green metal fencing along part of Mattock Lane at the Lido Junction end and down Northfields Avenue. 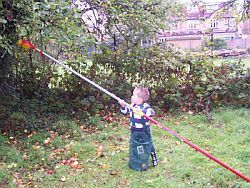 The pear trees are easy to get to so will suit small children as the allotment is also secure. Some lifting is involved, and of course the picking of pears from the tree! Pauly picking apples! And only 3 1/2 too! If you are free then come along to Walmer Gardens with your garden gloves, secateurs and/or loppers. Clearing is quite hard work and only suitable for children over the age of 12. Please contact Diane Gill on wenabundance@gmail.com or 07736857700 for further information, otherwise we will see you there on the day! If you can’t help with clearing, but have a car and would be willing to take garden rubbish to the dump please contact me or turn up at the Orchard on the day. We are also looking for more expert volunteers, so if you know a bit about apples/pears and could help with picks in the next couple of weeks please email me. Many thanks and hope to see you on the day! 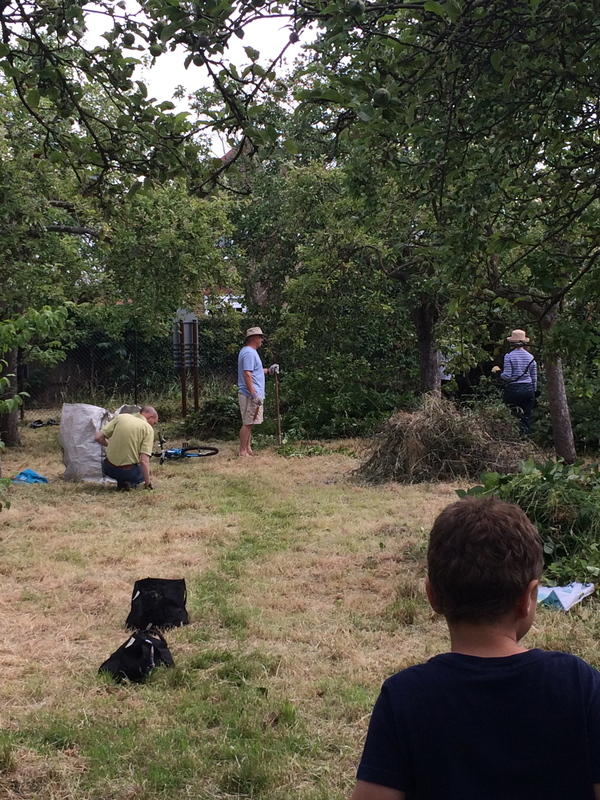 Have you got a couple of hours spare this Saturday 22nd August to help with our Orchard in West Ealing? 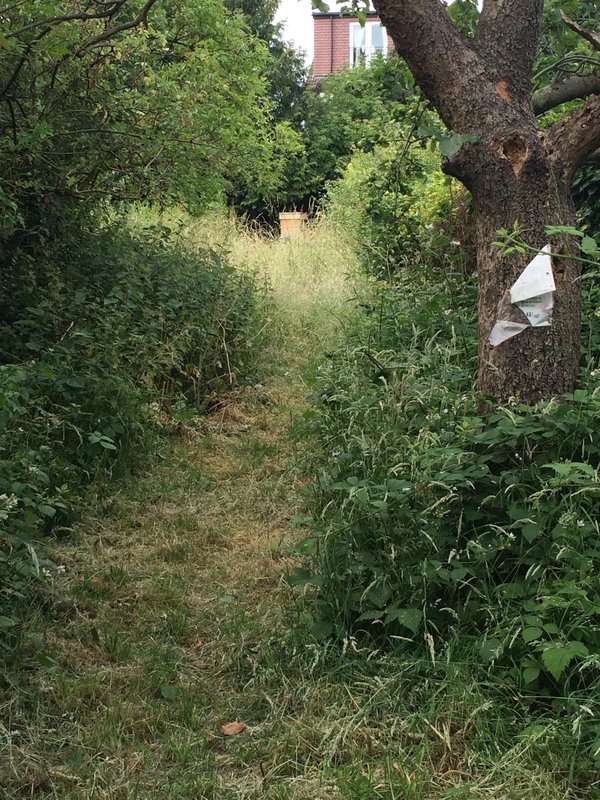 We have now had two successful clear up days in the Orchard at Walmer Gardens, West Ealing, but there is still more work to be done! We are still cutting the brambles, nettles, Ivy etc. and would love some more help to do this . 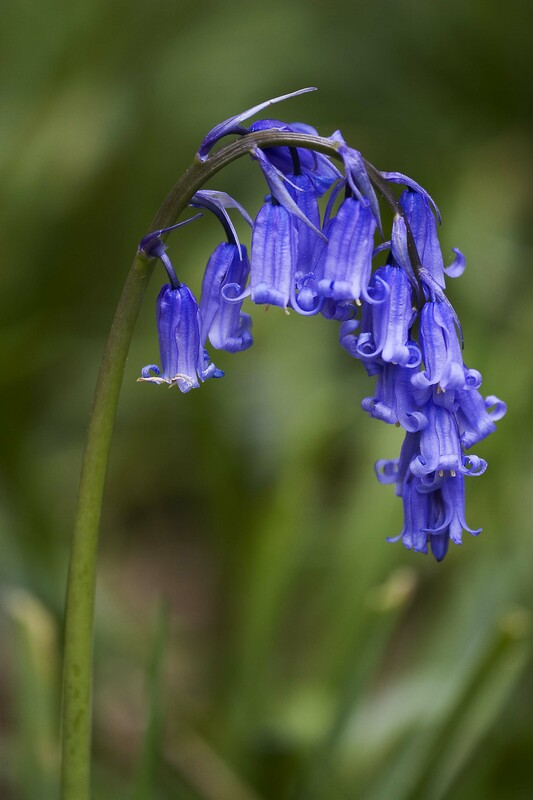 If you are free then come along to Walmer Gardens with your garden gloves, secateurs and/or loppers. Clearing is quite hard work and only suitable for children over the age of 12. Please contact Diane Gill on wenabundance@gmail.com or 07736857700 for further information, otherwise we will see you there on the day! We are also looking for more expert volunteers, so if you know a bit about apples/pears and could help with picks later in the year please email me on the address above. Many thanks and hope to see you there where Elizabeth and David will greet you. 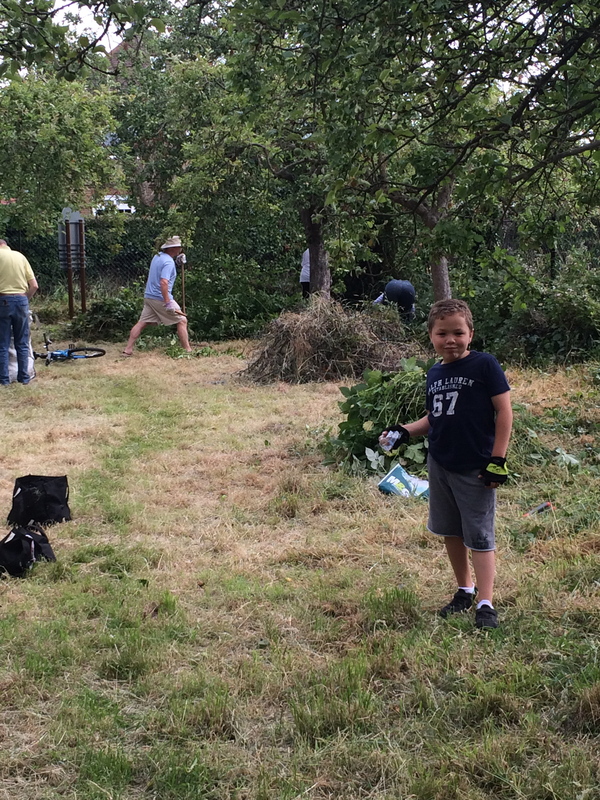 A Successful Orchard Clear Up Day! The WEN Abundance team enlisted the help of neighbours living around Walmer Gardens for the first of our monthly clear up days in the council owned Orchard we look after. We cut down nettles, Ivy, elder and grass over a couple of hours and took a lot of rubbish to the dump too! With a handful of people it is amazing what can be achieved. There’s more to do over the summer months so if you fancy getting a bit of exercise in a beautiful location, whilst doing some good then contact Diane Gill on wenabundance@gmail.com to get involved in these clear ups. The following dates are planned all from 10am – 12pm: Saturday 18th July Saturday 22nd August Saturday 26th September.